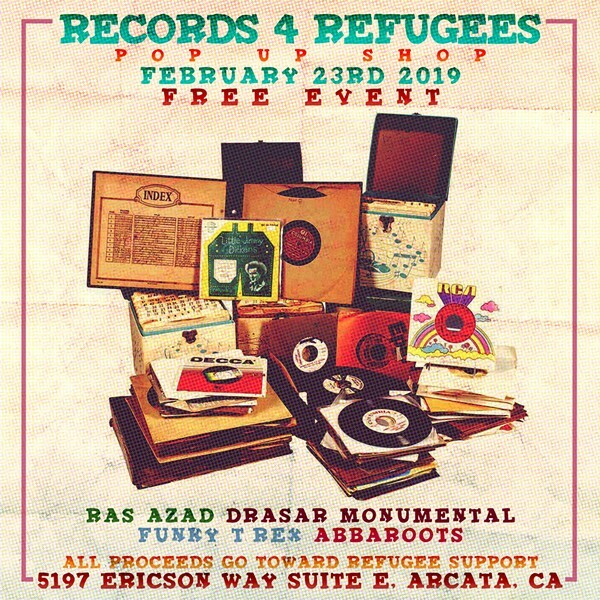 Pop Up shop and music benefit for overseas refugees featuring live DJs Funky T Rex, Ras Azad, Abba Roots, and Drasar Monumental. Art, heaps of vinyl records, international goods, and much more for sale with 100% of proceeds going directly to refugees over seas. Free family friendly event from 12-7pm.